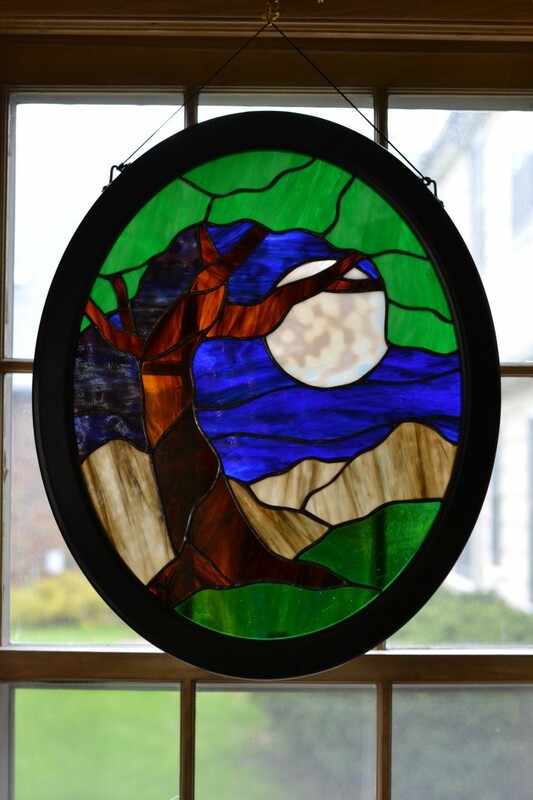 I built this night scene window to show off how great our painters ovals can look. I primed and painted it in a semi-gloss black. The glass size is 12″ x 16″ and I used our steel side mount chain hooks for hanging.